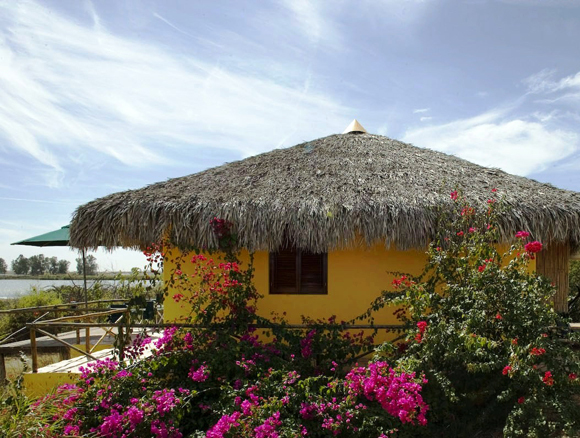 Pichiguila Club is strategically located southeast of the Gulf of California. It is situated between the Pacific and Central Flyways, in one of the most unique regions of Northwest Mexico, near Culiacan, the capital city of the state of Sinaloa. 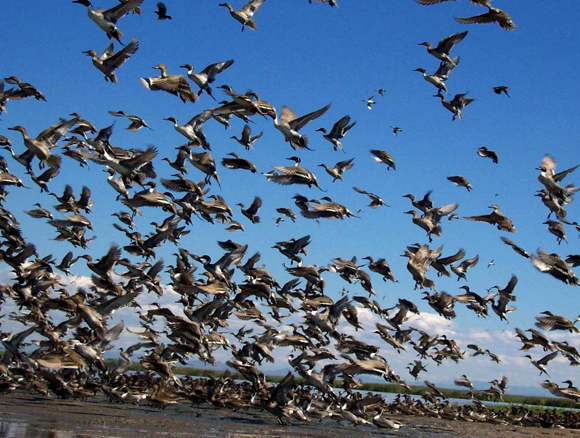 It extends over 100,000 acres of fresh water tidal marsh, swamps, estuaries, waterways, mudflats, and magrove forests. More than 14 species of wild ducks, whitewing and mourning doves are found in this habitat of the Chiricahueto Lagoon and Ensenada del Pabellon. Today, this habitat of freshwater marsh is considered as a rare eco-system in the world. Many endangered North American waterfowl and other wildlife rely on this environment for food, water, shelter and nesting areas. 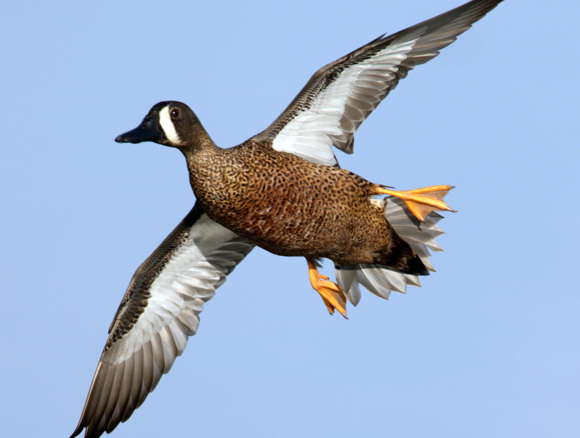 During the hunting season from early November through to the first week of March, the hunting grounds feature an amazing quantity and variety of wild ducks. There are more Pintalls at Pichiguila than anywhere else in North America. 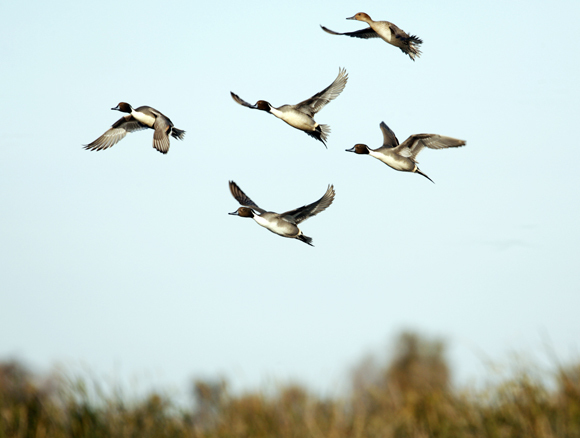 In addition to Pintail the main quarry species are Cinnamon Teal, Blue and Green Winged Teal, Scaup, Spoonbill, Gadwall, Wigeon as well as native Pichiguila Fulvous and Black Bellied Whistling Ducks. 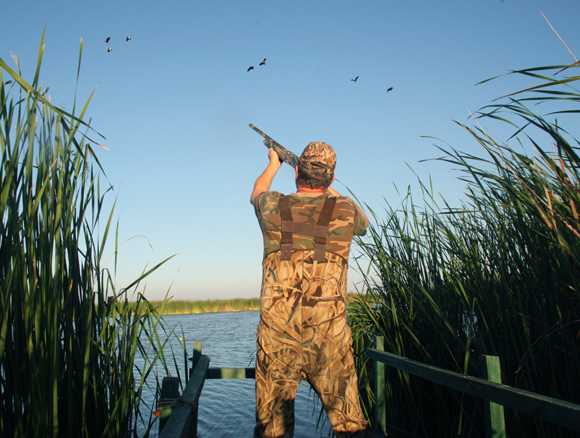 Typically hunters head out in the early morning for a duck flight, returning to the lodge for lunch before heading out for either a dove or duck flighting in the evening. Pichiguila boasts an onsite gunsmith, a large inventory of shotguns available for guests and highly experienced and professional hunting guides. There is the option to to head to Cabo San Lucas for some of the worlds best deep sea fishing. World class sport fishing boats with experienced English speaking crew. Another perfect package which would blend in brilliantly with the Pichiguila Club is The Delphi Club on Abaco is a small luxury hotel and fishing lodge in an idyllic wilderness location. Its guests enjoy the best of Bahamas bonefishing, brilliant birding and a wide range other activities in one of the Bahamas’ hidden beauty spots. Its top quality accommodation and food and its beautiful, unspoiled location attract nature lovers from all over the world and others in search of the perfect tropical hideaway. Many guests come to fly fish for bonefish – bonefishing in the Bahamas is well known as the best in the world and on Abaco it is exceptionally good. But others are drawn by the wildlife and the unspoilt beauty of the location. The excellent birding is now also attracting greater recognition. To be able to enjoy these pursuits from a beautiful base overlooking a deserted sandy beach on Abaco’s stunning Atlantic coastline is a rare treat. The Hunting Lodge is within a couple hours flight from many American cities, the premier lodge provides world class accommodation in breathtaking settings of an expansive lagoon. Each bungalow has its own private en-suite baths and double sinks with also rain head showers. These features provide the feel of luxurious outdoor living rarely found in a hunting lodge. All rooms are fitted with AC.